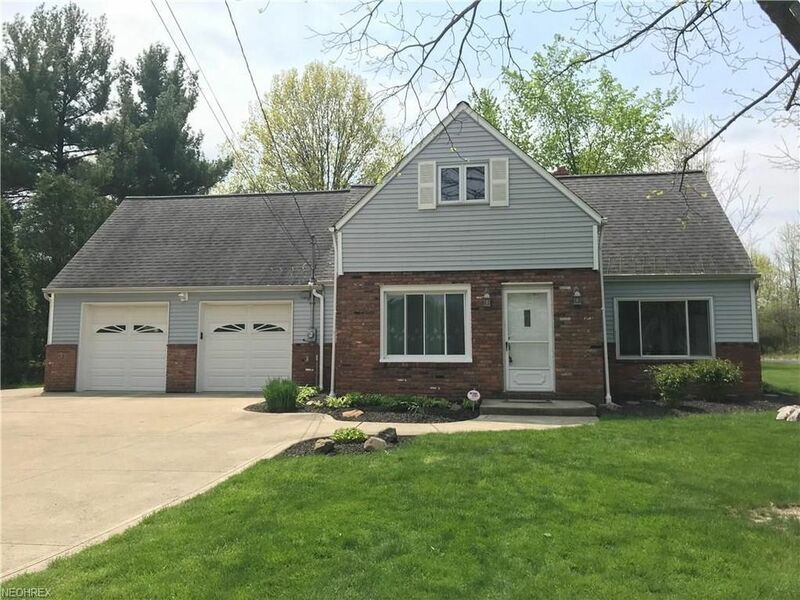 A rare find in Strongsville on nearly an acre! As you approach this move in ready home you will notice the new driveway (2016) with a turnaround and sidewalk leading to the backyard. The kitchen is open to the dining room with wood beams making this a great space for entertaining. Most of the windows are newer! 1st floor laundry! New furnace w/ Aprilaire (2017)! The brick entrance way welcomes you into the family room w/ new carpet (2017). This room is highlighted by the brick wall that surrounds the wood/gas fireplace making a warm cozy atmosphere. Through the glass sliders (2017) you will find the stamped patio (2016) and expansive backyard. This home gives you plenty of space to move about. A spacious bedroom along with a newly renovated (2018) full bath are on the 1st floor! Upstairs you will find the master bedroom with dual closets. The loft area is a great space for a study, the skylight w/ solar shield (2015) provides lots of natural light. Security system stays. This well maintained home is waiting for you to fall in love with it.